We had our annual June trial on the weekend. 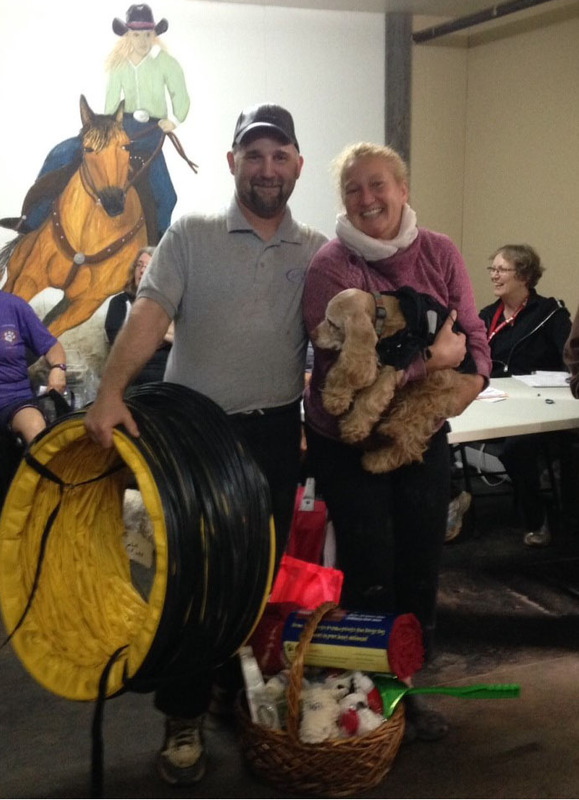 There were great courses from our judges, Nicki and Susan, and some great runs from dog and handler teams. With all the rain this weekend, we were all very happy that the competition was held indoors. 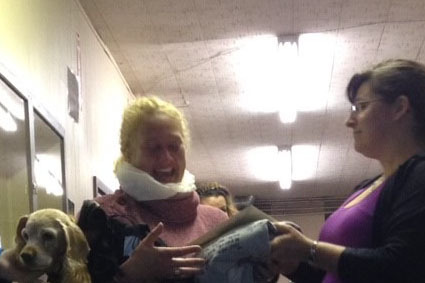 Kathryn giving Megan a farewell gift of a sweatshirt and card signed by those who attended the SAA trial. Megan cleans up at the SAA raffle table again! 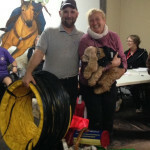 This weekend, we said good bye to an agility friend, Megan Maclean. She attended her first agility trial in Saskatchewan, 4 years ago, at the SAA June trial. Megan now leaving SK and moving back east. Megan is a wonderful character whose presence at our trials will be missed, although the rest of us may stand a chance at the raffle table again. 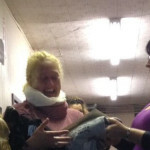 We presented Megan with a SAA sweatshirt and card signed by those that attended the trial. Thanks to all those that came out to participate, volunteer and watch the fun. The results can be found here.